Scott Millers own private company, Millers UK Ltd, was in receipt of my personal data, without my knowledge or permission. 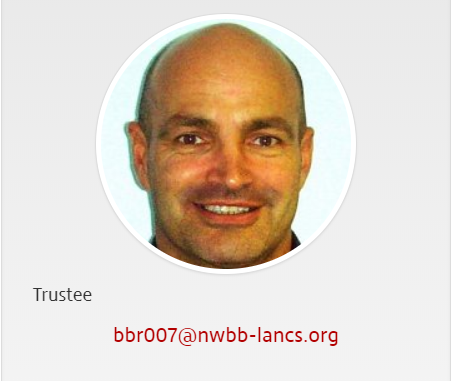 Scott Miller is a trustee of this North West Blood Bike charity and has already been ruled to have breached my personal data once by the ICO. Now I have reported Millers UK Ltd who handled my personal data, given to them by Scott Miller himself, the Managing Director. Scott Miller is also a Freemason, like every other Trustee and committee member of North West Blood Bikes. This is the reason why they are all sticking together. A formal complaint was made to his Millers UK Ltd but they simply denied it and then said they will not respond to any more emails. A strange stance for a company who should take GDPR seriously. This is in light of the fact that Scott Miller had admitted the data breach in an email so it is not acceptable to just deny it. We will save this for the judge if needed! I think under the circumstances, if you are a customer of Millers UK Ltd you should have serious concerns about their GDPR policies. Ask Scott Miller if the ICO has ruled he has breached the Data Protection Act? Scott Millers UK Ltd is located at Unit 1, Cunliffe Court, Clayton Business Park, Clayton Le Moors, Lancashire. BB5 5JG.